This tour has closed. Please watch this space for next year’s tour! This must be one of the ultimate road trips in the world. From Pakistan’s cultural capital Lahore to the ancient Uyghur city of Kashgar in China. During this trip, you will travel from the plains of the Punjab countryside to the mountains of the Himalayas. Not a trip for the faint-hearted! The trip starts in Lahore. 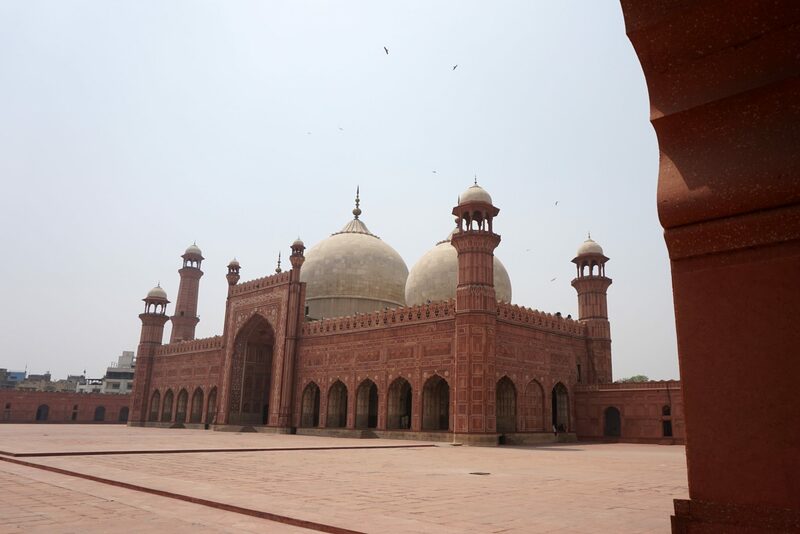 While this isn’t Pakistan’s capital, it is its cultural heart. Here is Lollywood, lots of theatre, art and music. We will be cruising down the small alleys of the old town, witnessing the famous border ceremony with India and even paying a quick visit to the countryside. After Lahore, we will be heading towards Islamabad, via the Khewra Salt Mines. These salt mines are the second biggest in the world, and even include a mosque and a temple! Pakistan’s capital Islamabad isn’t like any other city in the country. 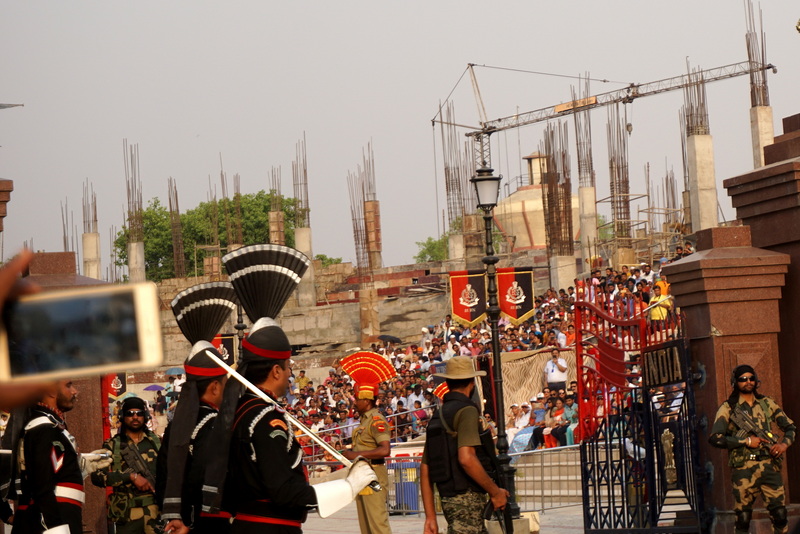 • Witness the daily flag ceremony at the Indian border at Wagah. You’ve been to the DMZ separating North and South Korea? Well, we think it hasn’t got anything on this, the tensest border on the planet! • Experience the famous Thursday Sufi Night. • Visit the (in)famous street doctors/dentists/pharmacy/bone setters and experience a haircut by fire, if you date! 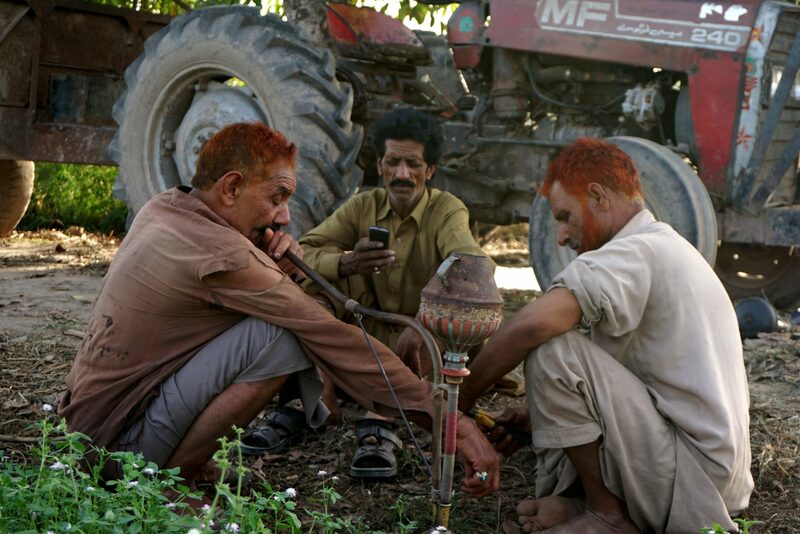 • In the afternoon, we’ll drive out of Lahore to experience the real Pakistani countryside at a local farm. • Today we’ll start our highway road trip! After an early breakfast, we’ll drive from Lahore to the capital Islamabad. • Got your Navy Seal T-shirt? Well, it’s time to put on a jumper, we’ll be having a tea break in Abbottabad, the city where Osama Bin Laden was killed. • Overnight in Besham or Chillas depending on how far we manage to drive! • After breakfast, we set off for another day of winding roads along the Karakoram. 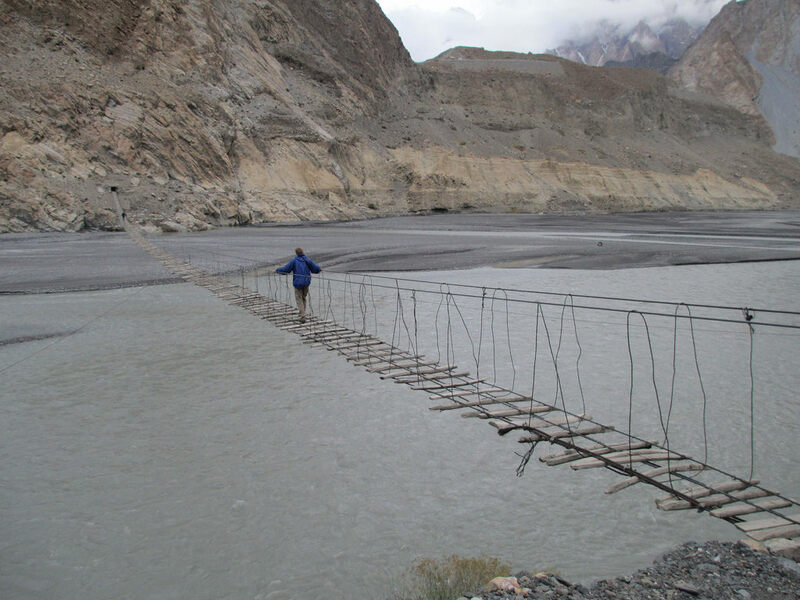 • We will walk on the high irrigation channels cut into the rock, giving tremendous views and an insight into how the people of Hunza created their Shangri-La. 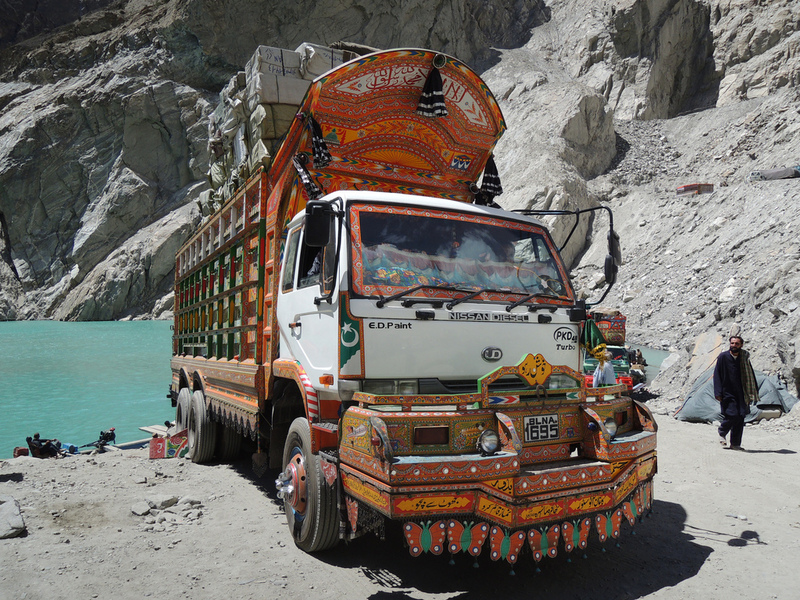 • Continue along the Karakorum Highway crossing the newly formed Attabad Lake to Passu. The 30 km long lake was only formed in 2010 after a massive landslide dammed the mighty Indus river. • Arrival in the border town of Sost. • Once again we wake up nice and early for a long day of driving and border formalities. • Arrival in the Chinese border town Tashkurgan. Night stroll through the city and some well-deserved barbecue and cold beer, or if you’re daring then Chinese baijiu! • Set off on the scenic drive towards Karakul Lake. As always we’ll stop for photos and rest breaks along the way! • Go local with an overnight in at a Kyrgyz yurt. Walking tour through the windy lanes of the old town and the Id Kah Mosque. 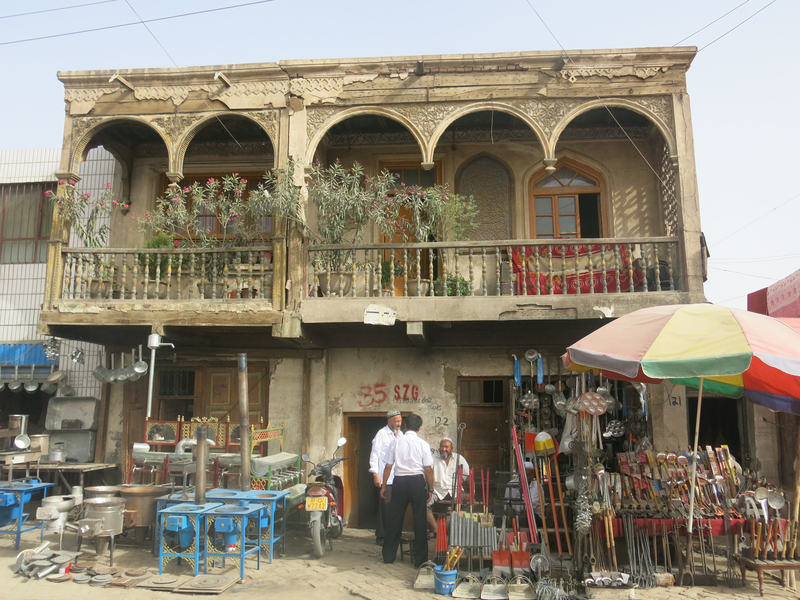 See what Kashgar used to look like. Sleep in a Kyrgyz yurt next to the Karakol Lake in China and visit Kashgar, China's most westerly city!